Improving outcomes for abused and neglected infants and toddlers. 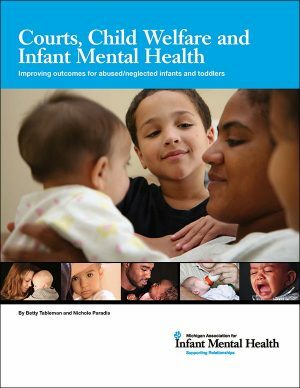 Infants and toddlers (birth to 3) comprise the largest number of children appearing before the courts for child abuse and neglect. 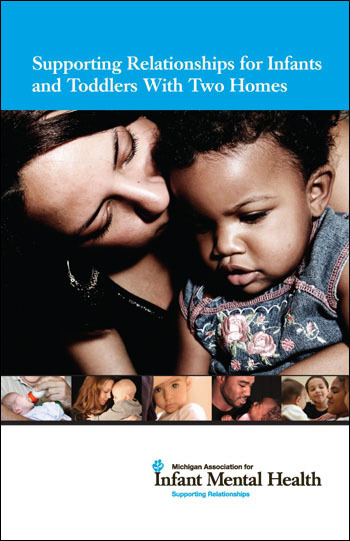 This guidebook is for court personnel, child welfare staff, and infant mental health specialists who navigate new and often difficult relationships on behalf of abused and neglected infants, toddlers, and their parents involved with the child welfare system. 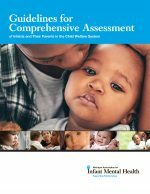 This book outlines how a judge working with child welfare, community mental health and other community partners, can put in place a Baby Court model to take into account the social and emotional needs of the infant/toddler within the judicial process. 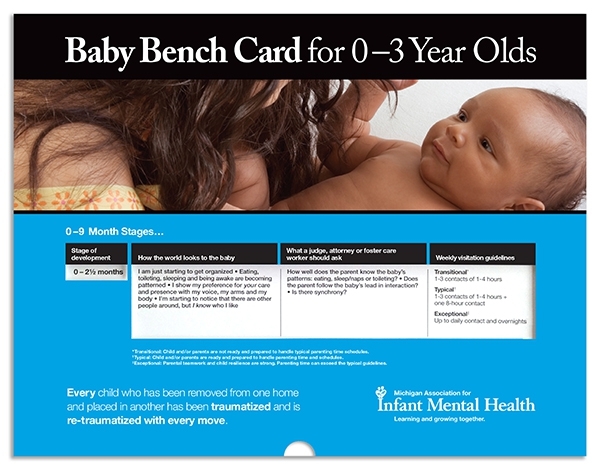 This model uses an infant mental health specialist to assess parent-child interactions and make recommendations in concert with other involved professionals to better assure the well-being of children and their families. Includes a sample court report, list of resources, and recommendations for specialized training and supervision for mental health specialists.